All your SEO questions answered by The Magic SEO Ball! Does Google “cheat” by favoring its own products in search results? For many years, we have heard claims from some very smart people and from some less-than-smart people that Google manipulates its own search results, or perhaps its own organic search ranking algorithm, to favor its own sites. 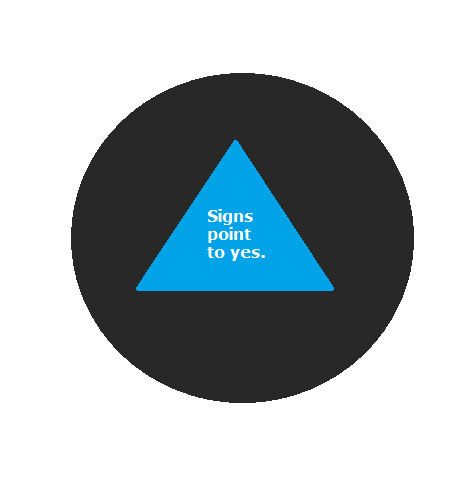 Magic SEO Ball says: Signs point to yes. We have defended Google for many years – and not just because we make our living as a professional SEO, in an entire ecosystem that exists because Google, and other search engines like it, are both good enough to attract billions of people to use it and because Google, and other search engines like it, are notoriously complex and difficult to game. In particular, we have been known to cite articles like this one: 5 Times Google Penalized Itself For Breaking Its Own SEO Rules. Still, this article in the Wall Street Journal is just too much to ignore: How Google Skewed Search Results 1)If you need help accessing the article, try doing a Google search for its headline, and then accessing it through Google News. That’s right: in some cases, Google strong-arms publishers into giving away their articles for free to readers coming from Google searches.. The article describes an FTC report that nails Google for doing all sorts of unsavory and classless things, like intentionally promoting its own services in organic search results, and intentionally demoting its competitors’ services. It’s unclear whether Google did this by manipulating the ranking algorithm (that is, by starting with what they wanted the results to be, and then working backwards until they had an algorithm that could reliably produce those results) or by letting the ranking algorithm operate independently and then just manipulating the search results pages when the results themselves weren’t satisfactory. Either way, Googlers like Matt Cutts and John Mueller should be ashamed of themselves. Google is just a company. They act in the interests of their shareholders and their employees and their users, and when the interests of the third group are in conflict with the interests of the first group, it’s not a surprise that the second group is tasked with ensuring that the first group’s interests take precedence. But Google’s mission is quite unlike other companies’ missions, at least insofar as Google is uniquely in a position to turn its dreams into reality. And we should all be scared and concerned at what Google is capable of doing. 1. ↑ If you need help accessing the article, try doing a Google search for its headline, and then accessing it through Google News. That’s right: in some cases, Google strong-arms publishers into giving away their articles for free to readers coming from Google searches. All your SEO questions answered by a black magic ball! Are fragment identifiers that change content cloaking? Does UTM tracking on inbound links affect SEO? Did Thumbtack really break Google’s rules? Is there a duplicate content penalty?